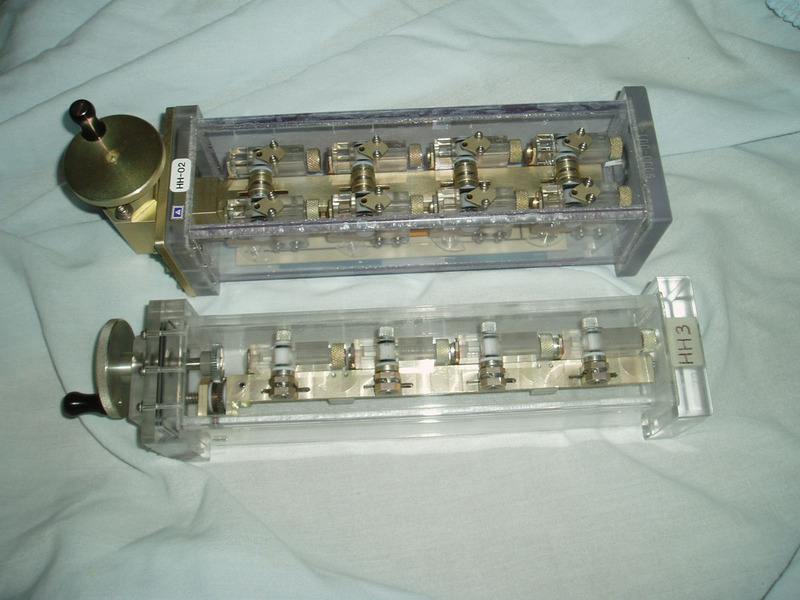 The Hand Held Diffusion Test Cell (HH-DTC) experiments started out with a 4 cell system (center artifact from the top in the above image) inside of a polycarbonate housing for containment. This system flew on three shuttle flights (STS-63, STS-77 and STS-94 in 1995, 96, 97 respectively). Lessons learned from these two flights were incorporated into the next design, which contained 8 growth cells inside of each containment housing. The 8 cell design (shown at the top in the above image) also had its own LED backlight source for photography by the crew. The growth cells were mounted on a gang activation rail. Operation of HH-DTC is simple. 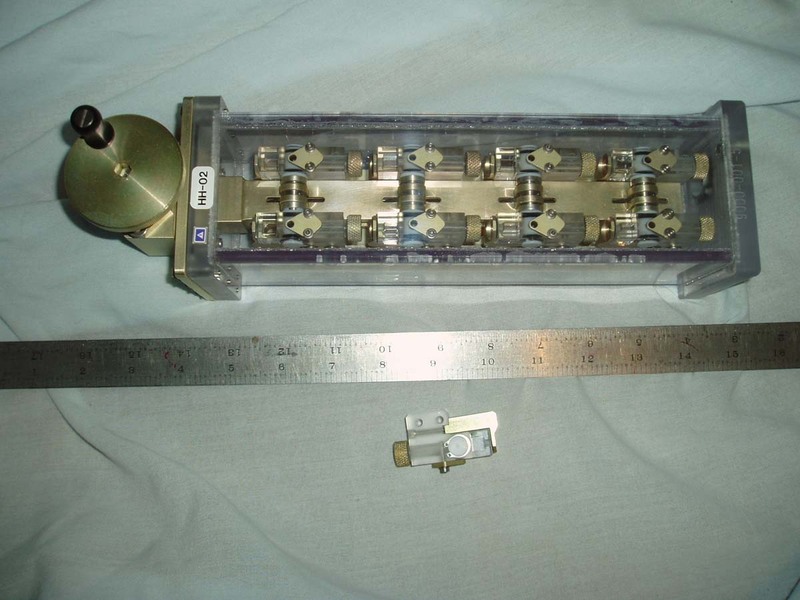 Astronauts used the hand crank to rotate the center shaft of each cell 90 degrees to form a single, straight volume. 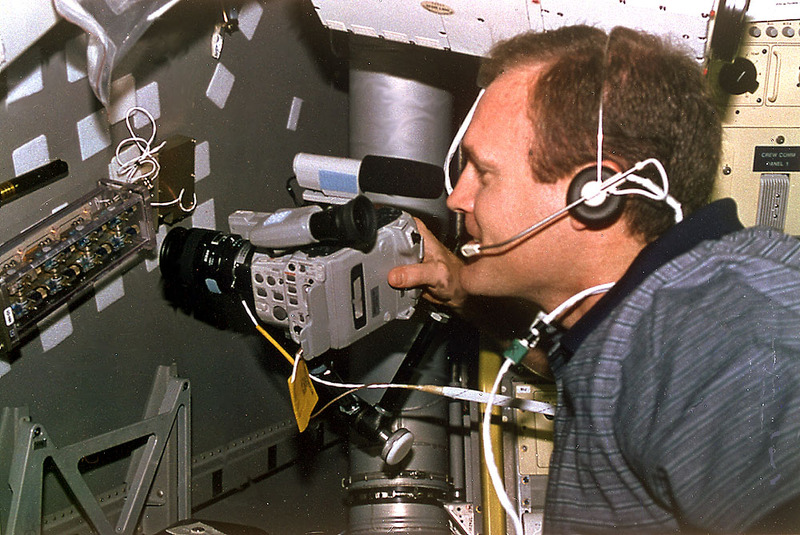 Three HH-DTC assemblies were placed within a locker, and a forth was located in the cabin so the crew could photograph the interaction of the three fluids once the cells were aligned. 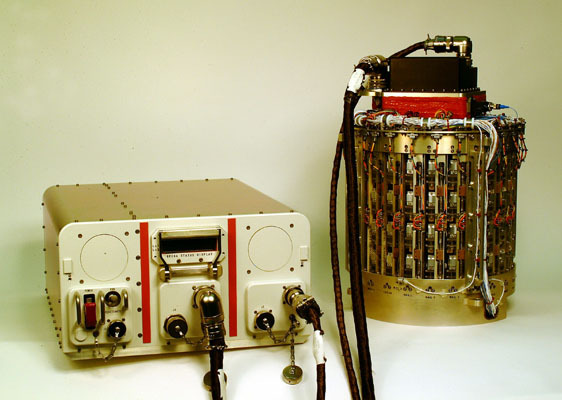 The HH-DTC experiments were an outgrowth of the much larger Observable Protein Crystal Growth Apparatus (OPCGA) program while I was working as lead engineer on this program; initially at Teledyne Brown Engineering and later at the University of California Huntsville Engineering office. The principal investigator for this experiment was Dr. Alex McPherson at UCR. 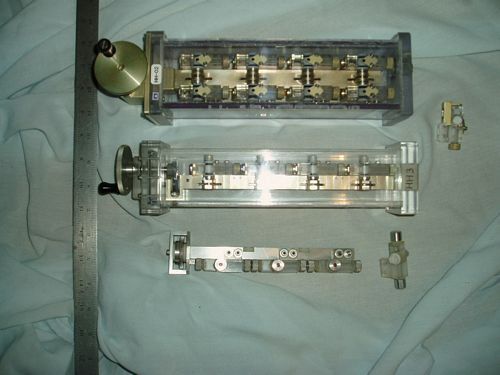 The first set of experiment cells were built in my home shop along with a gang activation rail just to test the design. 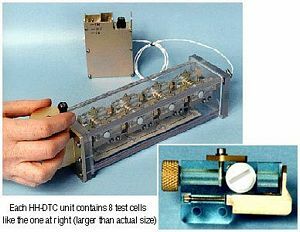 Both the experiment PI and NASA liked the proof of concept device, so the decision was made to fly a set of growth cells mounted in a gang activation device as a precursor experiment: the HHDTC. After the program was cancelled, the hardware was abandoned "in-place" by NASA with the University of California. I was given two of the flight articles in recognition for my work on the program. 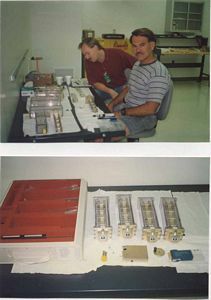 The two images at the bottom left show what was to be the end result of the HHDTC experiments (the OPCGA). 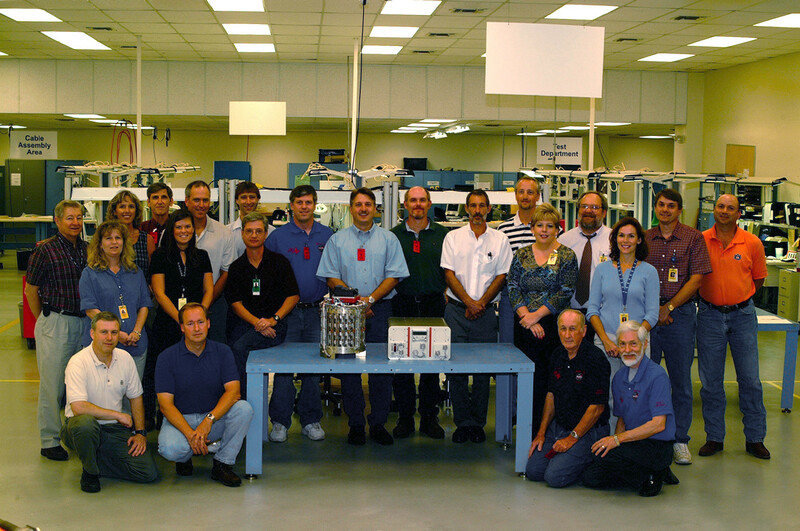 The flight hardware was built by Teledyne Brown Engineering for the University of California. 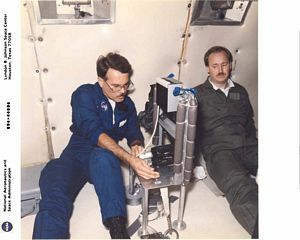 Two flight units had been assembled for flight to the International Space Station (ISS) when the project was cancelled due to science cutbacks after the Columbia accident. The OPCGA utilized the HHDTC protein crystallization reactor design and incorporated two phase shifting Mach-Zehnder interferometers and polarization microscopes for characterization of the crystallization process in the microgravity environment. 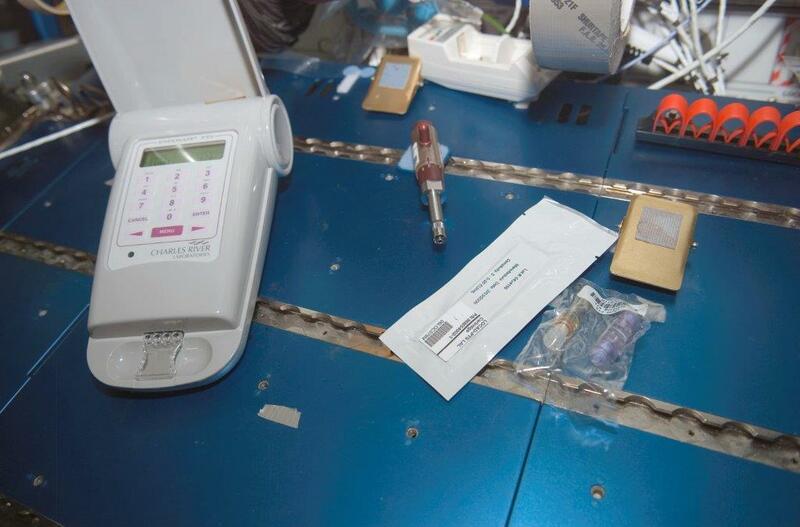 LOCAD-PTS experiment hardware in the ISS Destiny module during Expedition 15. 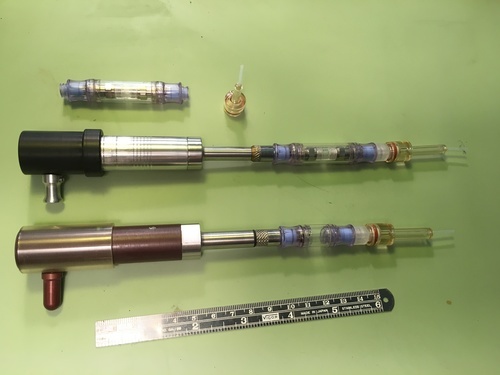 The Lab-on-a-Chip Application Development Portable Test System (LOCAD-PTS) devices were used for swabbing surface contaminants and then concentrating these contaminants in liquid form for insertion in a hand held device developed by the Charles River Laboratory. This device was capable of identifying various bacterial and chemical contaminants. I was responsible for the design and development of the swabbing device shown. The photo above contains a prototype device and a flight article. The device was flown on the ISS during Expeditions 14 through 20. 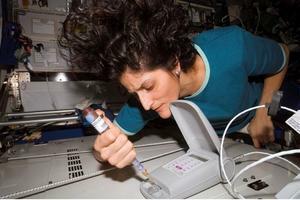 NASA has a LOCAD-PTS fact sheet and two follow up Research & Technology pages regarding the experiment. I also co-authored a paper ("LOCAD-PTS: Operation of a New System for Microbial Monitoring Aboard the International Space Station (ISS)") presented at the AIAA Space 2008 Conference and Exposition in San Diego.